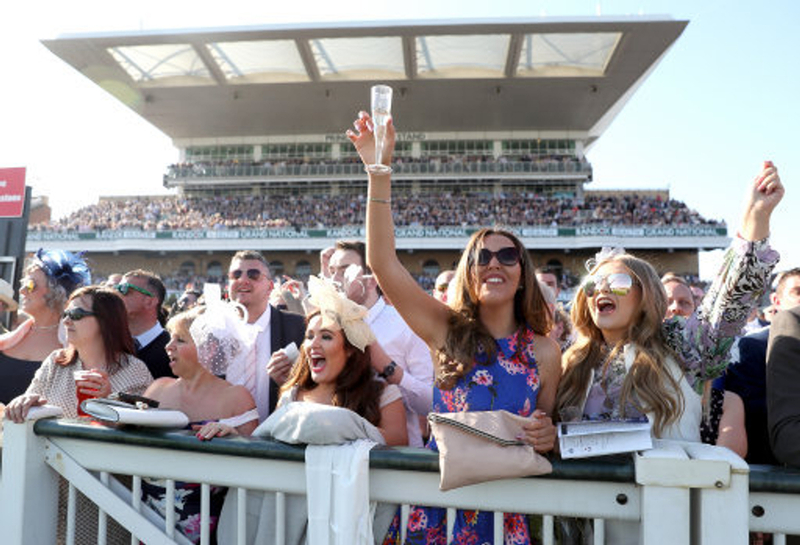 Monday night saw heavy rainfall in the Merseyside area which has now changed the ground conditions ahead of the first day at Aintree for the three day Grand National Festival. The National course now reads as good to soft, soft in places which will affect some horses from running but also boost others credentials, with potential for more rain to fall between now and the start of the meeting. 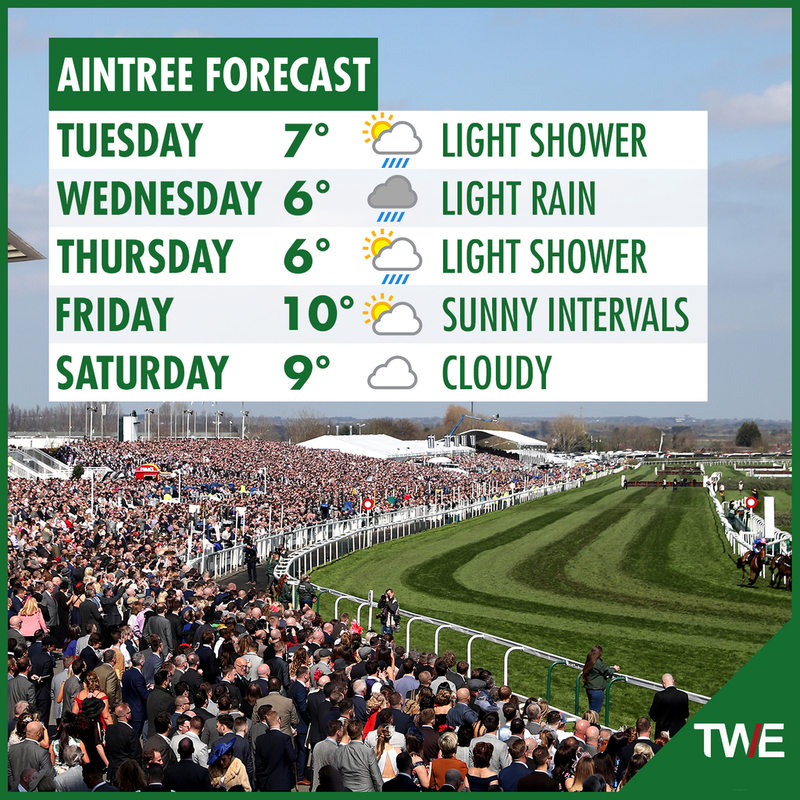 Overall a total of 10 mm of rain fell onto the track through Monday evening and stretching into Tuesday morning, this also made sure the Mildmay and Aintree Hurdle track are both now good to soft. The £1 million Randox Health Grand National is set to have all 40 runners filled and go to post this year, with many runners be waiting on the rain coming even more but will certainly take the ground to have any description of soft in it before the start at 17:15 on Saturday. (Credit Racing Post) Clerk of the course Andrew Tulloch said on Tuesday: "We had the 10mm of rain we were forecast last night and the ground has changed to good to soft, soft in places on the National course. It is a bit softer by the canal side of the National course. We will just keep an eye on it for now, we are expecting some showers and will see what the score is. At this time of year the ground can dry out reasonably quickly. We're very happy with where we are at the moment." WHICH HORSES WILL ENJOY THE ADDED RAIN? There are certain horses near the top of the market in there respective races that will thoroughly enjoy wetter conditions than most and the more rain that falls between now and the start of racing at Aintree across Thursday to Saturday will be better for these horses. Sam Spinner is set to run in the Ryanair Stayers Hurdle, after coming out of his second in the Cheltenham Stayers Hurdle at the festival really well. The Jedd O'Keefe trained gelding will love the track the more rain he can get with six out of all of his seven wins in his career coming on soft being in the ground description, his other win came on heavy which should tell you how much rain means to this horse. Bristol De Mai is known to many in the racing world especially when it comes to soft/heavy ground, winning the Betfair Chase at Haydock by 57 lengths and that day the going was Heavy. He was set to run in the Grand National and was the top weighted horse in the field before being moved into the Betway Bowl off the back of his second in the Cheltenham Gold Cup. The final horse we will mention in a host that will adore the rain falling over Liverpool is owner Trevor Hemmings best chance in the Grand National with Vintage Clouds. This nine year old gelding has landed two of his four wins on soft ground, while he also boasts a great record in even wetter conditions.